May 15, 2017 Social MediaBy DEANknows! LinkedIn is a business-oriented social networking site. LinkedIn was launched in May of 2003, and it is mainly used for professional networking. In 2006, LinkedIn boasts 560 million hits per day and is ranked the 13th most visited site in the world. With that type of engagement, with all sorts of business people, you can’t afford to NOT take LinkedIn seriously. We will cover some of the basics for getting started. 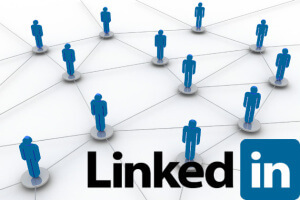 The basic functionality of LinkedIn has its user base to create profiles and “connections” to each other. The overall goal is to build the online relationship to assist with real world business relationships. Within the LinkedIn world, you will want to connect with anyone that you know from the business community. Upon inviting someone to be a connection, if they say they “don’t know you” this can harm your overall account status. Connections within LinkedIn work in degrees. Someone that you are directly connected to is a 1st degree and the people that they know are 2nd degree connections and so on. This list of connections can then be used in a variety of ways. 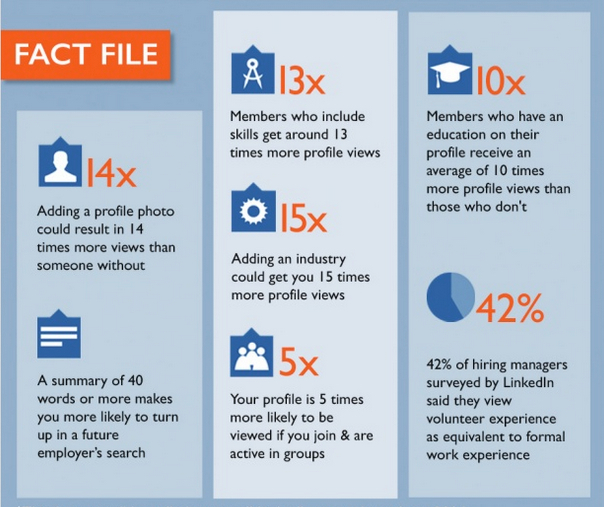 Job seekers can review the profile of hiring managers. Obtain introductions to the connections of connections (termed second-degree connections) and connections of second-degree connections. — Man, that’s a lot of connections! You can see that LinkedIn is all about “connections”. Find jobs, people and business opportunities recommended by someone in one’s contact network. Follow different companies and can receive notifications about the new joining and offers available. Save jobs that they would like to apply for. “Like” and “congratulate” each other’s updates and new employments. See who has visited their profile page. You should fully complete all sections of your LinkedIn Profile linking each previous job to its respective LinkedIn Business Page. Be sure to add all correct dates for employment, schooling a professional photo etc. You will also want to build a Company Page for your business. 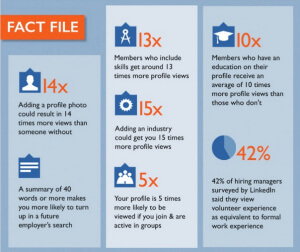 Optimizing your LinkedIn Profile allows you to showcase what you have to offer. On your Company Page you should build up the “products and services page” where you can showcase what you are about and give people compelling reasons to follow. Company pages are also very SEO-friendly. Google previews up to 156 characters of text from each business page. As a result, make sure your description leads with powerful, keyword rich sentences. Plus, members can search for companies by keyword on LinkedIn, so you should also include words and phrases that describe you, your business and your industry focus. With LinkedIn company pages, you can “like” and share content as a company, similar to how you would do on Facebook and Google+. Therefore, you should use LinkedIn to share your own articles, as well as other industry news, with an audience that may not be active on one of the other social networks. You should post a minimum of one time a day but up to four times a day to ensure that articles are being seen. Similarly, company page admins can “like” and respond to member comments generated from posts. In addition, as you see a connection celebrating a work anniversary, be sure to comment. With LinkedIn’s targeted updates, you can tailor certain messaging if desired. For example, when creating an update, you can choose to share it with “all followers” or to a “targeted audience.” Choosing the latter allows us to send an update to a subset of followers based on geography, industry, company size, or level of seniority. For example, if you were having a meet-up in a certain city, we can tailor updates toward people in that region. You must continuously be looking through the “People You May Know” and your existing connects–looking at their connections (your second degree connections) to attempt to grow your network. It is critical to NOT spam out many invites as this will diminish your presence on the site and could even result in your account being restricted or closed. To additionally grow our LinkedIn followers, you should spread the word internally within your organization and encouraged all team members, contributors, etc., to follow and engage with the page. Use a multi-channel approach. Add a link to the company page to email signatures and add a “Follow” button to the website, which shows that you are on LinkedIn and makes it easy for people to follow. Engagement % — Engagement = interactions + clicks + followers acquired. In other words, this metric answers the question, “Of those who’ve seen my update, how many are truly engaging with it?” Looking at updates with higher engagement rates, and noting the type of content, people targeted, date and time, helps us learn how to optimize future content around what is proven to work. Demographics — From seniority and industry to company size and function, demographics provide a snapshot of followers. With this information, you can tailor the type of content shared as well as the tone in which it is delivered. Demographics will also help determine which segments to focus on for targeted status updates. How You Compare — Knowing how our company page compares to the pages of our competitors is a great way to determine whether we should change our strategy. Since your LinkedIn page is new, you may not have many benchmarks yet. LinkedIn has come out with some new reporting for their advertising called Lead Accelerator….more on that soon. Needless to say, this is only some of the basics of how to use LinkedIn. They have a ton of ways to leverage your LinkedIn profile to acquire new talent, promote a lunch and learn, create sales, build new business connections and advertise. Here at DEAN Knows we consider Social Media the most cost effective paid advertisement. We also understand that many businesses don’t have the time or manpower to utilize social media to its fullest extent. Because of that, we offer many services to fully manage your social media persona and grow your business including Daily Industry Specific Posting, Social Media Marketing Campaigns, Reputation Monitoring and of course New Orleans SEO Services. Contact Us Today if you want to leverage the power of social media for your business.